From the award-winning author of The Master, a hauntingly compelling novel—by far Tóibín’s most accessible book—set in Brooklyn and Ireland in the early 1950s about a young woman torn between her family in Ireland and the american who wins her heart. Eilis Lacey has come of age in small-town Ireland in the years following World War Two. Though skilled at bookkeeping, Eilis cannot find a proper job in the miserable Irish economy. When an Irish priest from Brooklyn visits the household and offers to sponsor Eilis in America—to live and work in a Brooklyn neighborhood "just like Ireland"—she realizes she must go, leaving her fragile mother and sister behind. Eilis finds work in a department store on Fulton Street, and studies accounting at Brooklyn College, and, when she least expects it, finds love. Tony, a blond Italian, slowly wins her over with persistent charm. He takes Eilis to Coney Island and Ebbets Field, and home to dinner in the two-room apartment he shares with his brothers and parents. Eilis is in love. But just as she begins to consider what this means, devastating news from Ireland threatens the promise of her new life. 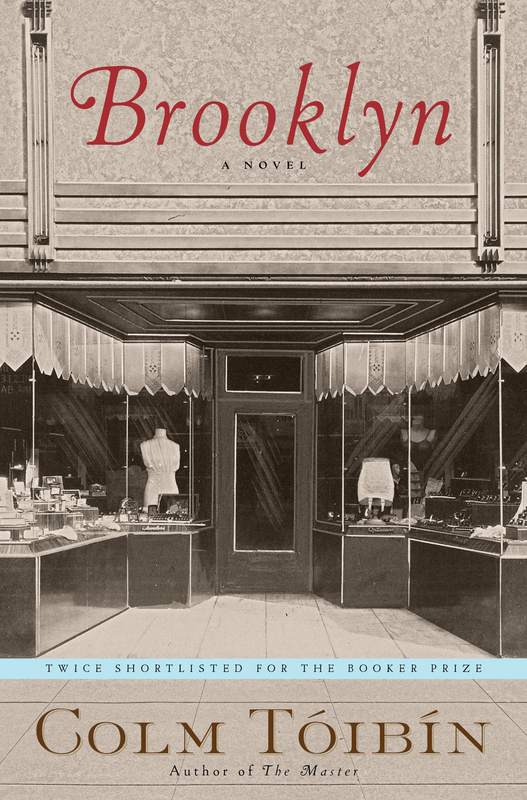 With the emotional resonance of Alice McDermott’s At Weddings and Wakes, Brooklyn is by far Tóibín’s most inviting, engaging novel. This reading group guide for Brooklyn by Colm Tóibín includes an introduction, discussion questions, and ideas for enhancing your book club, and a Q&A. The suggested questions are intended to help your reading group find new and interesting angles and topics for your discussion. We hope that these ideas will enrich your conversation and increase your enjoyment of the book. “One of the most unforgettable characters in contemporary literature,” (Pittsburgh Post-Gazette), Eilis Lacey has come of age in Enniscorthy, Ireland, in the hard years following World War Two. When an Irish priest from Brooklyn offers to sponsor Eilis in America, she decides she must go, leaving her fragile mother and her charismatic sister behind. Eilis finds work in a department store on Fulton Street, and when she least expects it, finds love. Tony, who loves the Dodgers and his big Italian family, slowly wins her over with patient charm. But just as Eilis begins to establish her life in Brooklyn, devastating news from Ireland brings her back to Enniscorthy. Eilis is forced to choose between America and Ireland--and two men who embody these places--in the midst of the sweeping economic and social changes of the 1950s. 1. Before she goes to America, Eilis believes that, “While people from the town who lived in England missed Enniscorthy, no one who went to America missed home. Instead, they were happy there and proud” (pg 26). Why do you think the Irish had such a rosy view of America? How are Eilis’s expectations met upon her arrival? 2. As Eilis begins night classes in accounting, she notes the divisions between Italian and Jewish students, and the lack of English or other Irish students. At work, she must confront racial integration when Bartocci’s opens its doors for the first time to black customers. How does Eilis react to the divisions among Europeans immigrants from different countries, as well as those between white and black Americans? How are the traditional ethnic lines of Brooklyn beginning to break down in the 1950s? 3. When Eilis and Tony first meet, she seems more interested in him as an escape from her troublesome housemates than as a genuine romantic interest. Tony, however, is clear about his love for Eilis from the start. Why do you think Eilis is hesitant in her feelings? Is a relationship with such uneven attachment doomed from the start, or do you believe that one person can “learn” to love another over time? 4. Some characters in the novel are referred to as Miss or Mrs., while others are identified by their first name. Does this reflect their relationship with Eilis? Why would Colm Toibin make this stylistic choice? How would your perception of the characters in Brooklyn be different if Tobin had written the novel from the “first-person” perspective of Eilis? 5. Imagine Eilis in today’s world. Do you see her primarily as a career-motivated woman, or as a wife and mother? How does Toibin present the conflict between job and family in the 1950s? How is it different today? 6. When the clerk of the law bookstore in Manhattan engages her in conversation, Eilis displays an ignorance of the Holocaust that would startle us today. How do you explain her confusion? What does it tell us about the Ireland—and New York—of the 1950s? 7. Something happens to Rose that, in retrospect, makes you reexamine the reasons she might have urged Eilis to move to America. Discuss this. 10. Eilis decides to keep her marriage to Tony a secret from her mother and friends in Enniscorthy because she believes they won’t understand. Do you believe that this is Eilis’s true reason, or might her silence indicate other motives? 11. Does Eilis’s notion of her duty to family evolve from the beginning of the novel—when she leaves Enniscorthy—to the end, when she returns to Tony in America? 12. If Eilis had been able to choose freely, between Brooklyn and Tony, and Enniscorthy and Jim, what do you think she would have chosen? Or is Eilis really a young woman who does not choose, who allows others to determine her fate? 13. Tóibín ends Brooklyn before Eilis even boards the ship back to America, leaving her future unwritten. Why do you think Toibin chose to end the book there? What do you imagine Eilis’s future holds? 1. I Love Lucy! was the hit show of the 1950s. However, it depicts a very different life for Ricky and Lucy, also living in New York City, than Eilis experiences. Watching some episodes of I Love Lucy! and discuss the differences between this Hollywood version of life in the ‘50s and Tóibín’s depiction in Brooklyn. 2. Irish traditions and food appear throughout Brooklyn, particularly in the passage about the dances Eilis attends both in the U.S. and Ireland. Listen to ceili music at your meeting, and ask members to bring their favorite Irish (or Irish-inspired) dish! 3. Betty Smith’s novel A Tree Grows in Brooklyn is perhaps one of the most well-known depictions of New York City in the 1940s. Pair the two novels (perhaps reading them in tandem, or for consecutive meetings) and discuss the changes in Brooklyn from Smith’s 1940s to Tóibín’s 1950s. 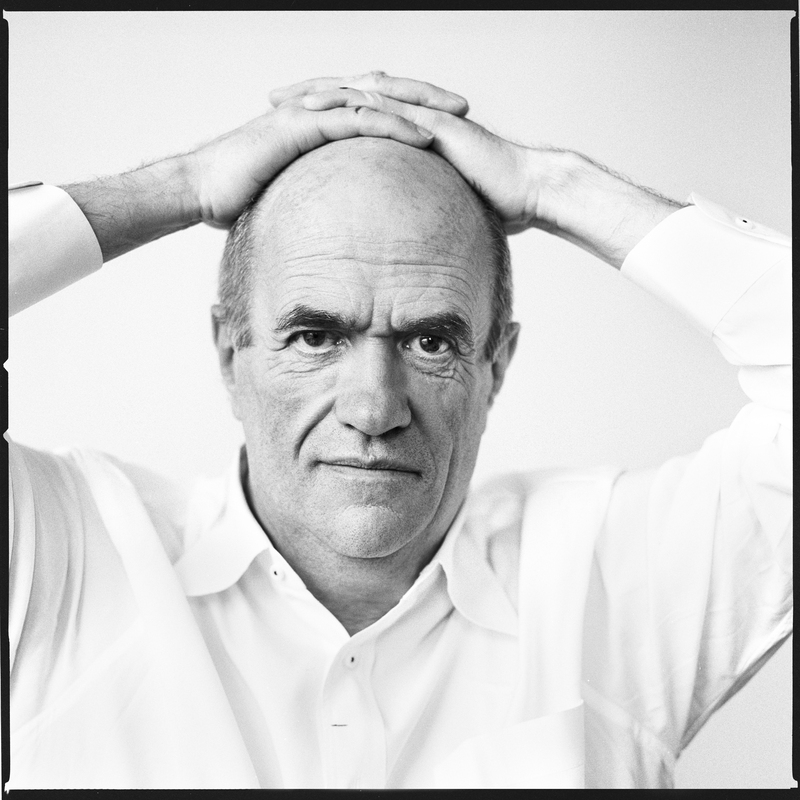 Colm Tóibín is the author of nine novels, including The Blackwater Lightship; The Master, winner of the Los Angeles Times Book Prize; Brooklyn, winner of the Costa Book Award; The Testament of Mary; and Nora Webster, as well as two story collections, and Mad, Bad, Dangerous to Know, a look at three nineteenth-century Irish authors. He is the Irene and Sidney B. Silverman Professor of the Humanities at Columbia University. Three times shortlisted for the Man Booker Prize, Tóibín lives in Dublin and New York.